National Instruments has announced four new NI Single-Board RIO board-level embedded devices featuring a real-time processor, Spartan-6 field-programmable gate array (FPGA), analog and digital I/O and more built-in peripherals for custom embedded control and monitoring applications. The new devices provide engineers with off-the-shelf FPGA and real-time processor technology through NI LabVIEW while maintaining the custom I/O often required for high-volume deployments through the option of a RIO Mezzanine Card connector. The connector provides direct access to FPGA digital input/output (DIO) lines and certain processor-specific functions for mating custom daughter cards. NI Single-Board RIO alleviates the effort of designing an entire system from scratch so designers can focus on the custom parts of their applications, such as the I/O. With the new devices, engineers can achieve the shorter time to market of an off-the-shelf system along with the I/O customization offered by in-house designs, providing the best of both worlds. The devices also feature built-in analog I/O so engineers can take advantage of the company’s industry-leading analog expertise in addition to their application-specific circuitry. The devices’ low-cost, small form factor; built-in I/O; real-time processor; and FPGA provide an ideal platform for embedded monitoring and control applications in industries such as medical and energy. NI reconfigurable I/O (RIO) hardware combined with NI LabVIEW system design software provides a commercial off-the-shelf solution to simplify development and shorten time to market when designing advanced control, monitoring and test systems. 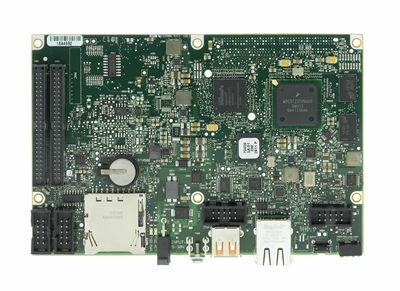 NI RIO hardware, which includes CompactRIO, NI Single-Board RIO, R Series devices and PXI-based NI FlexRIO, features an architecture with powerful floating-point processors, reconfigurable FPGAs and modular I/O. Engineers can program all NI RIO hardware components with NI LabVIEW to rapidly create custom timing, signal processing and control for I/O without requiring expertise in low-level hardware description languages or board-level design.